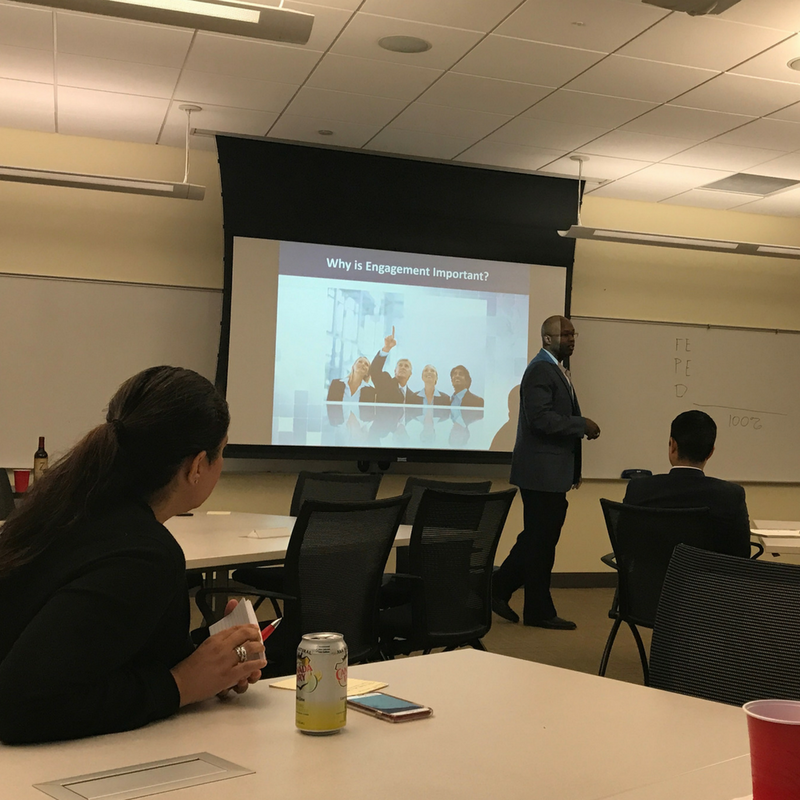 Arline suggested that the workplace holds three types of engaged employees: fully engaged, partially engaged, and disengaged. He said almost half of employees are partially engaged, but that the one-quarter of fully engaged employees generally competes with another quarter of employees who negatively impact the workplace. During the training, he advised the audience to become a leader who drives employee engagement by enhancing relationships with colleagues and gaining their cooperation. He said listening will help build this trust and rapport, which will enhance workplace relationships significantly.